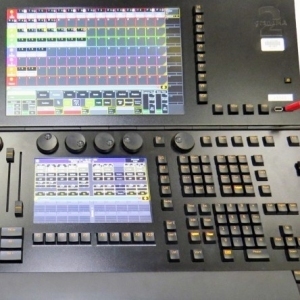 With the grandMA2 light, MA Lighting offers a compact version of the new grandMA2 Full-size featuring 4,096 parameters, 15 motorized faders on board and two touchscreens. All additional features as well as all command keys are the same as with the grandMA2 Full-size. 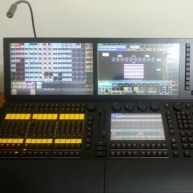 The grandMA2 light is the optimal tool for control of all kinds of lighting genres like conventionals, Moving Lights, LEDs, video and media. 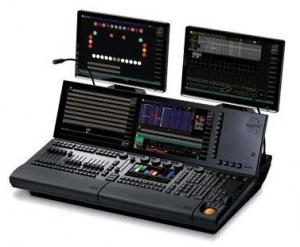 Intuitive and fast control over all connected fixtures and channels in different styles is possible. 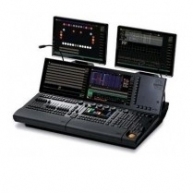 The grandMA2 light can handle an nearly infinite number of presets, cues, pages, sequences and effects. It is also a perfect back-up Solution for the grandMA2 Full-size. 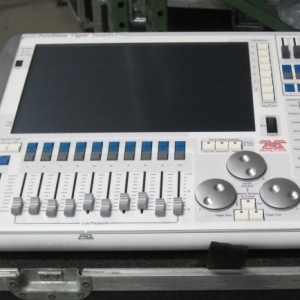 The console features a full compatibility to the 'series 1'. grandMA2 light - Like new grandMA2 light, from 2013. Previously used in demos. 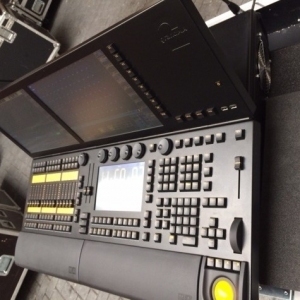 grandMA2 light - Corporate used grandMA Light with flight case in mint condition. GrandMA2 light - In like new condition, with case. Ready to work. grandMA2 light - Pristine condition. Available after August 10th. 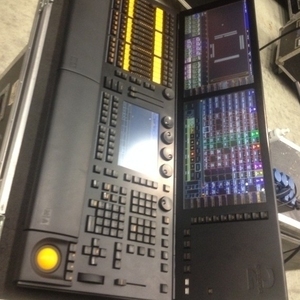 grandMA2 light - grandMA2 Light with flight case in excellent condition. Previously used in rentals. grandMA2 light - grandMA2 light in good condition, previously used in tours. GrandMA2 light - Has never toured. Mint condition. 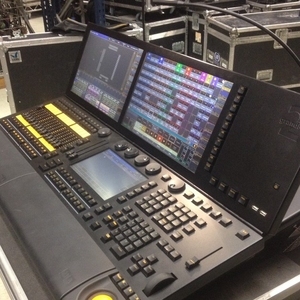 grandMA2 light - Corporate used grandMA 2 light with flight case in great condition. 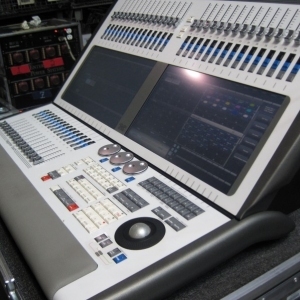 GrandMA2 Light - EX-Demo GrandMA2 Light console. Regularly updated, cleaned and maintained. grandMA2 light - grandMA2 Light with flight case in great condition. Previously used on rentals. GrandMA2 light - Used on various rentals. In like new condition. grandMA2 light - grandMA2 light with flight case in great condition. Previously used in rentals. grandMA2 light - grandMA2 light in excellent condition. 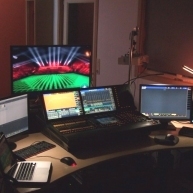 Previously used in a theater installation. GrandMA2 light - Used for a single project. 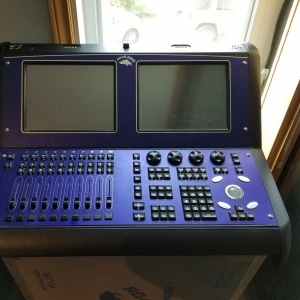 From 2010.
grandMA2 light - Corporate used grandMA2 light in mint condition. grandMA2 light (4 Gig version) - This is the 4 Gig version in very good condition. GrandMA2 light - Comes with a 60 day warranty. 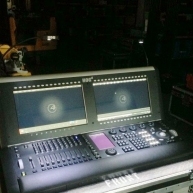 grandMA2 light - Corporate used grandMA2 light with flight case in mint condition, from 2015.
grandMA2 light - Corporate used grandMA Light, in like new condition. 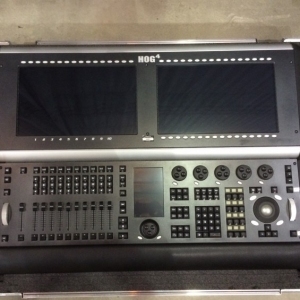 grandMA2 light - grandMA2 light silent verison with flight case in excellent condition. Previously used in rentals. 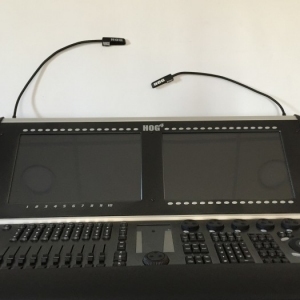 grandMA2 light - Corporate used grandMA2 Light with flight case in excellent condition, from 2014.
grandMA2 light - Corporate used grandMA2 light with case in mint condition.